Who loves a five ingredient recipe? Who loves frozen desserts that come together in five minutes? 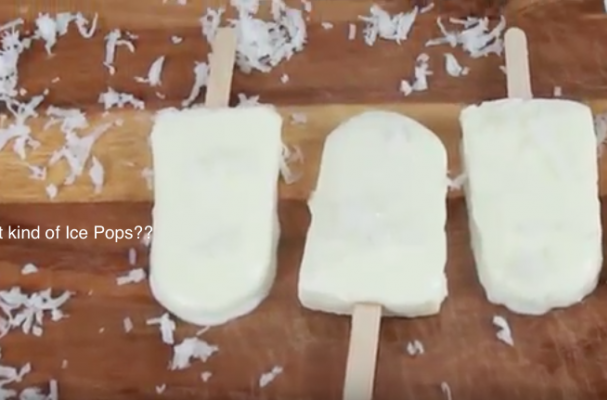 If you answered yes to both questions, then these coconut pineapple ice pops are for you. Paletas, or Mexican ice pops, are made from a base of pureed fruit with milk and sugar. You can adjust the sweetness depending on the natural flavor of the fruit and use a variety of sweeteners including honey or agave nectar to add dimension. These ice pops can be prepared at the drop of a hat and enjoyed by all.